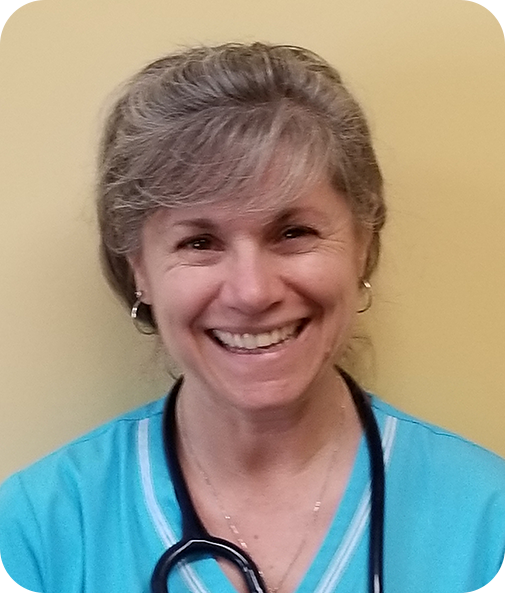 As a core part of the caring team at our Cincinnati center for eight years, Cheryl is one of the most compassionate, committed, and honest people you will ever meet. Kind and thoughtful, she demonstrates care beyond measure as she listens and responds insightfully to the needs of our members each day. Juan makes sure each and every activity is packed with fun and creativity. Evidence of her contagious enthusiasm is easy to find. Whenever our members spend time with her, you are sure to find them smiling and laughing. Her support is especially empowering for our younger adults, who appreciate that she approaches them both like a friend and an advocate. 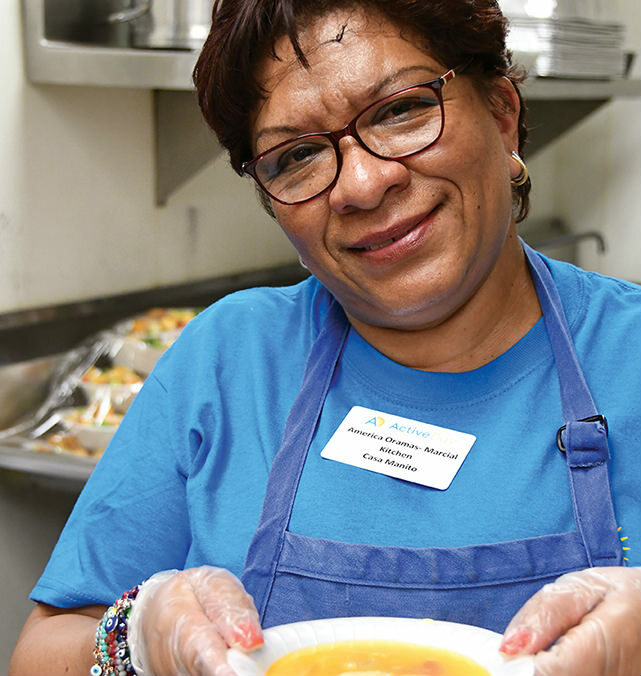 Known as "Mama Juan," she has spent 14 years with us, earning a special place in the hearts of everyone around her. 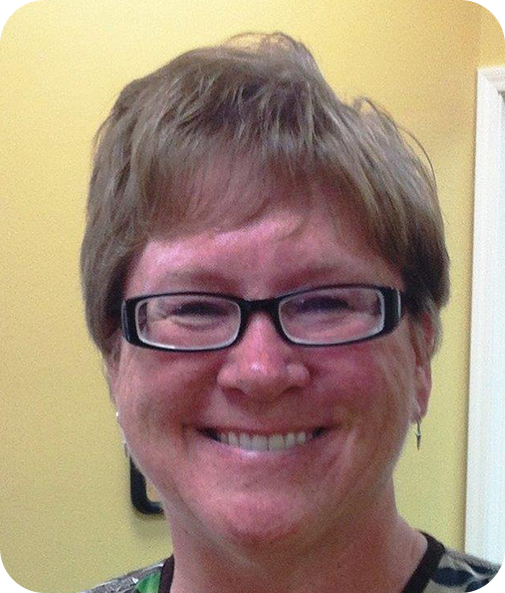 Christine plays a vital role in helping our members, families, and visitors feel welcome. She is never without a smile, and she is always ready and willing to listen and help in any way she can. Our members look forward to experiencing her enthusiasm and creativity every day. 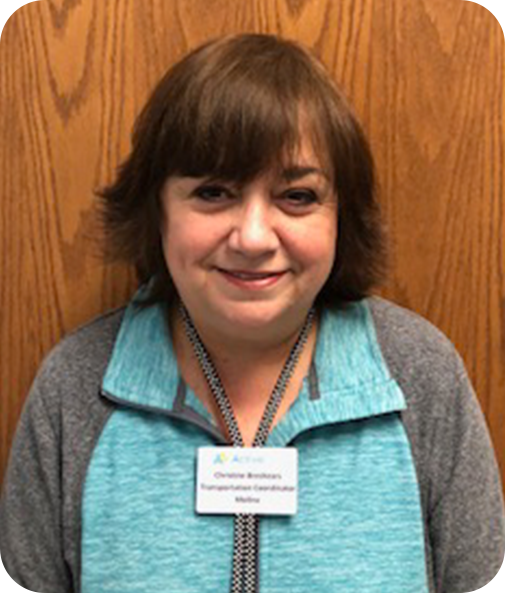 Christine always goes the extra mile for our members and families, and her willingness to go above and beyond creates a comforting, pleasant, and fun atmosphere. While she is officially devoted to Transportation with Active Day Moline, her positive impact brightens every department within our center. Taking pride in your work and bringing your passion along with your smile. Since 2014, Reneno has cultivated a warm, passionate attitude that is an essential part of the Active Day Maryland atmosphere. The smile on his face is always a tell-tale sign that he truly loves working with our members. A believer in leading by example, his compassion is clear to everyone who he crosses paths with every single day. 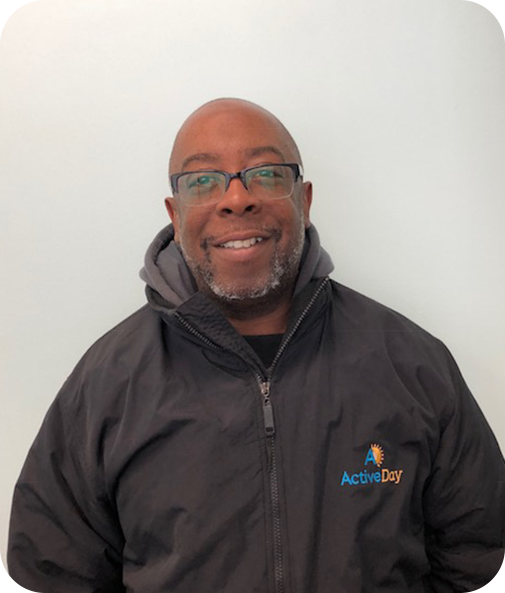 He has demonstrated incredible flexibility in his role, always first to raise his hand to assist any department at any time–in everything from bus maintenance to transportation safety. Reneno is a valued employee and a true asset to Active Day Maryland. Leading by example and never compromising on integrity. Pam's philosophy is to treat everyone in life as if they were a family member. Her approach is certainly effective, because most members actually consider Pam to be part of their own families! 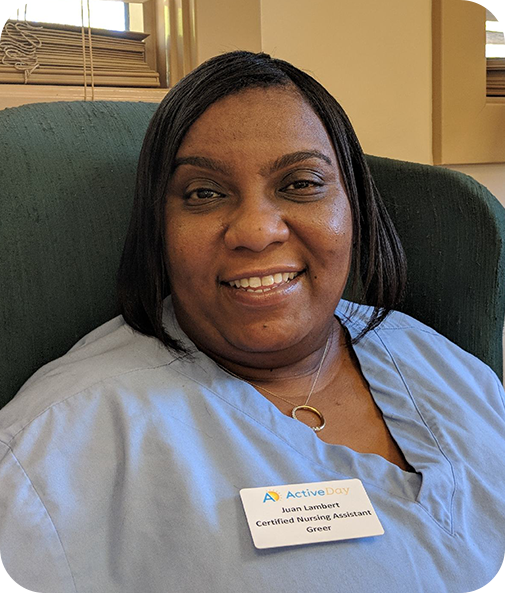 Incessantly caring, compassionate, and creative, Pam takes pride in everything that she does here at Active Day Bardstown. Her commitment to genuine connections makes it possible for every single member to have a great day. Pam considers it personally rewarding to see members leave with smiles on their faces, already excited to come back the next day. Creating a warm and welcoming community while also taking pride in your work. Become part of the team that makes us the leading provider of adult day care and in-home personal health care services. We are currently seeking qualified candidates who have a passion for working and caring for others.